You have completed this program on Apr 19, 2019. This 12-module program is designed to teach the most up to date information on the treatment of osteoarthritis. Although it is focused toward physicians, anyone can learn from this. These modules are evidence-based with published references cited wherever applicable. Where published evidence may not be available, the information provided is based on professional clinical experience and judgement. It can sometimes be difficult to distinguish osteoarthritis from inflammatory types of arthritis. 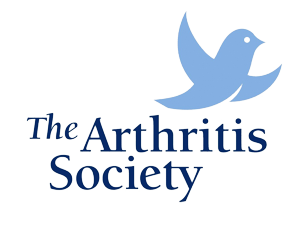 This module will provide some key clinical pearls to aid the differentiation between osteoarthritis and inflammatory arthritis. In this module we’ll explore the rationale for weight reduction for patients with osteoarthritis and discuss helpful strategies. In this module we’ll explore the utility of various braces and orthotics to make sure your patients are receiving optimal care. In this module we’ll explore the utility of various physiotherapy practices to ensure your patients with osteoarthritis are receiving optimal care! In this module we’ll explore the safety and efficacy of topical diclofenac for osteoarthritis of the knee and hands. In this module we’ll explore the evidence for the efficacy and safety of oral acetaminophen. In this module we’ll explore the evidence for the efficacy and safety of oral NSAIDs for the treatment of osteoarthritis. In this module we’ll explore intra-articular steroids and hyaluronic acid for the treatment of osteoarthritis pain. In this module we’ll explore the utility and dosing of duloxetine for patients with chronic pain associated with osteoarthritis of the knee. Although our focus will be on knee pain in osteoarthritis, the centrally acting mechanism of duloxetine supports its potential utility in other types of chronic pain (fibromyalgia, chronic low back pain, diabetic peripheral neuropathy). In this module we'll explore the use of opioid analgesics as one of the components of pain management for patients with osteoarthritis. It is important to understand the criteria for surgery and reasons to refer to a surgeon. This module will teach you the best practices for referring a patient to an orthopedic surgeon. This module will help to better understand the role of a rheumatologist in the management of osteoarthritis. As a result, the reasons for appropriate referral will become clearer.